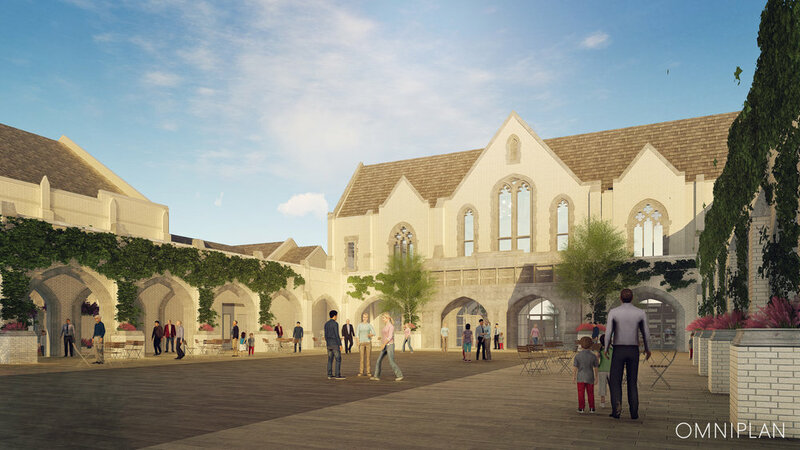 The campus will be expanded by 67,114 square feet and an additional 66,982 square feet will be renovated, all keeping in line with the current neo-gothic architecture. 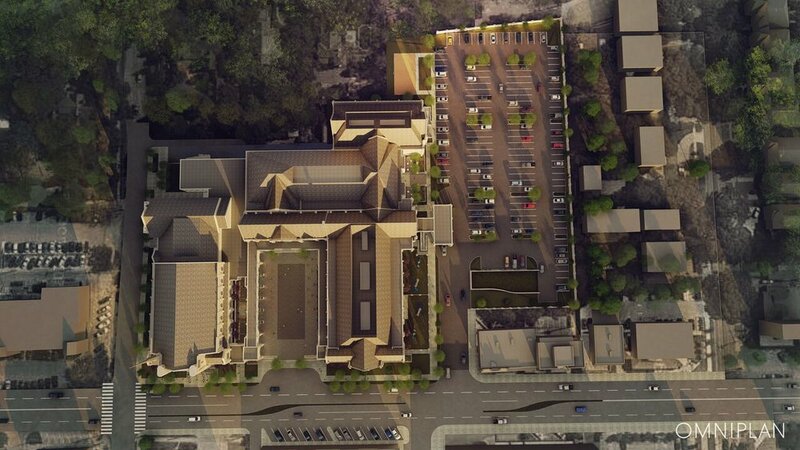 Newly constructed surface parking area will hold approximately 175 parking spaces and include covered drop-off. 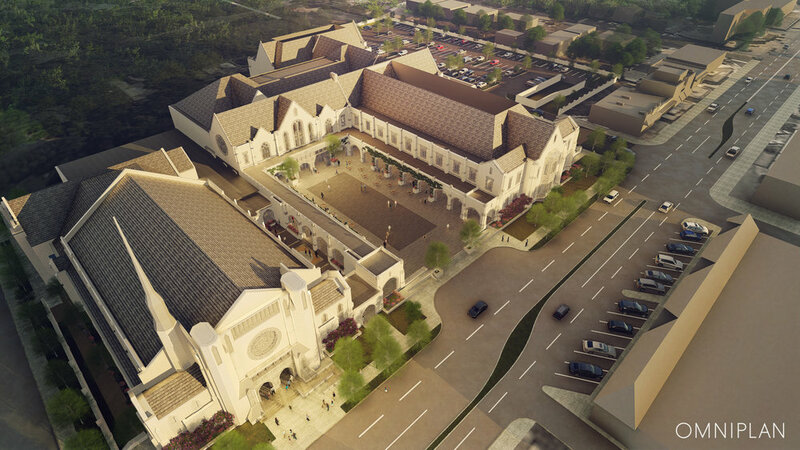 The building and parking on the west campus will continue to be used during construction and after the project is completed. This updated site plan gives us the greatest flexibility for future parking or program space needs. 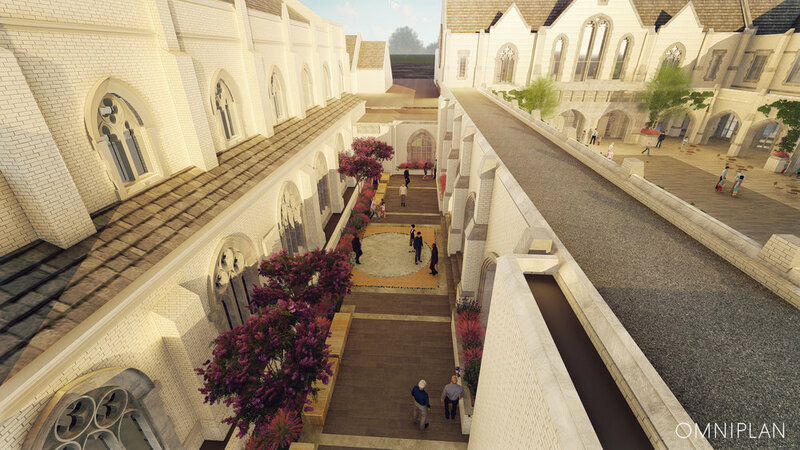 A courtyard will sit at the center of our campus and provide a welcoming space for our community. 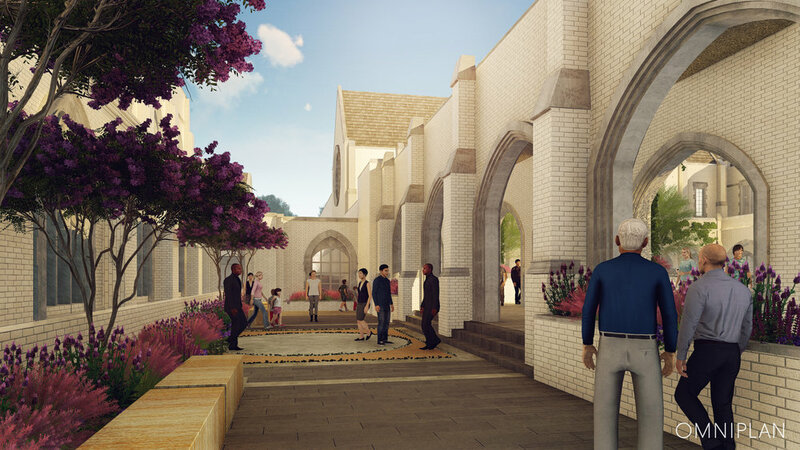 The existing Children’s Garden will be relocated to a beautiful space by the Sanctuary, just off the courtyard. 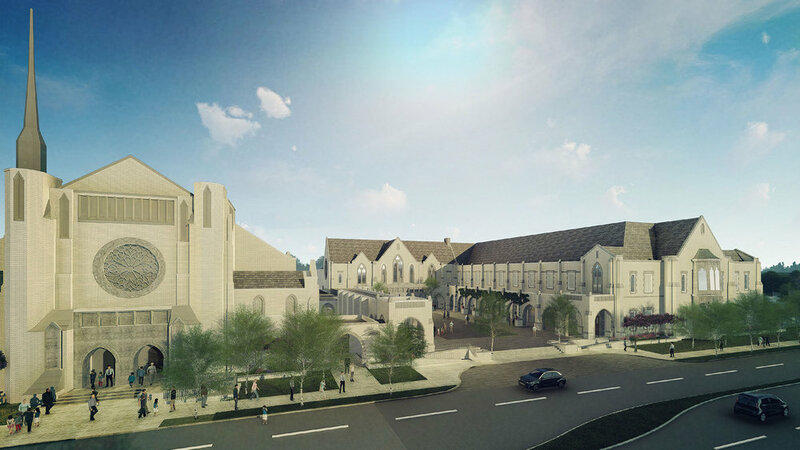 To the north of the sanctuary is a likely location for a columbarium.